River Run: 3 bed / 2 bath. Sleeps 6. Are you ready to get away? 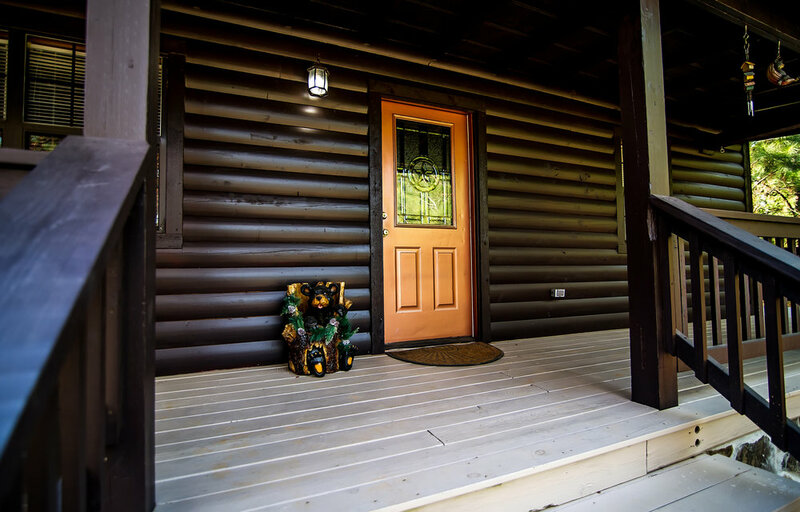 River Run Cabin is ideal for trout fishermen and kayakers who want to be on the Lower Mt. Fork River. 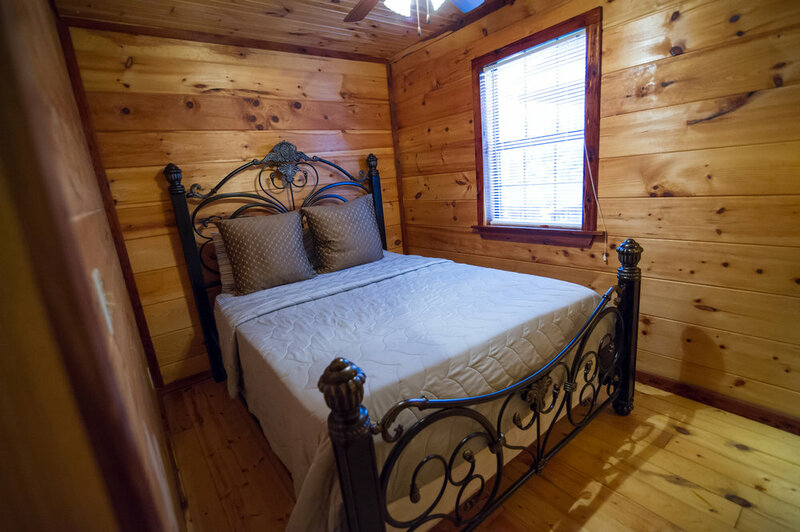 This cabin is located just a few miles east of Broken Bow and just minutes from the river. 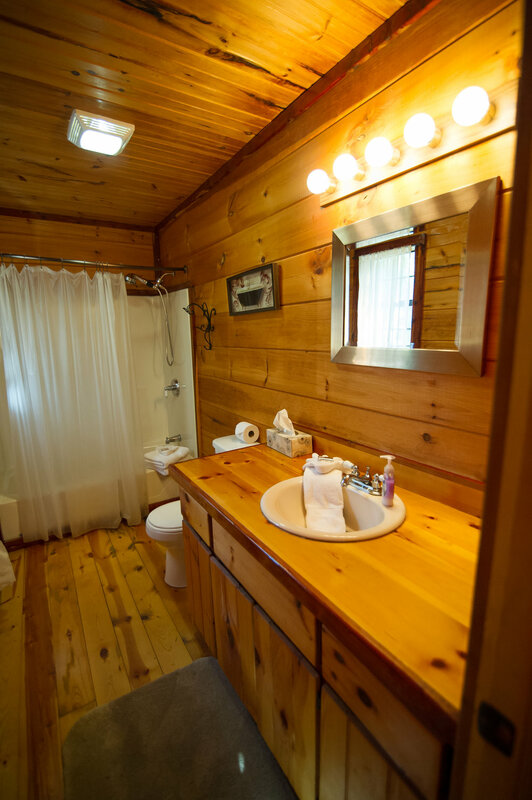 Tucked away into a young pine plantation, River Run has 3 bedrooms and 2 baths and enough seclusion to keep guests coming back again and again. 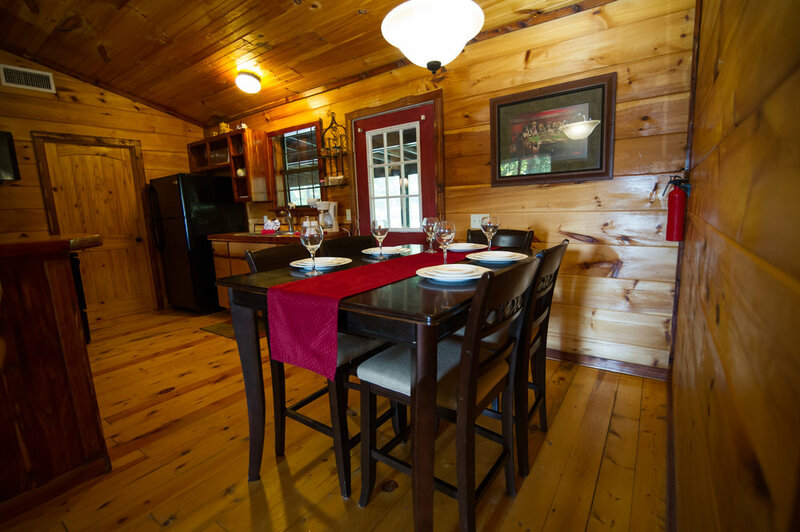 The kitchen and outdoor grill is ready for cooking your favorite meals and the fire pit will have you telling stories under the stars for hours each night. 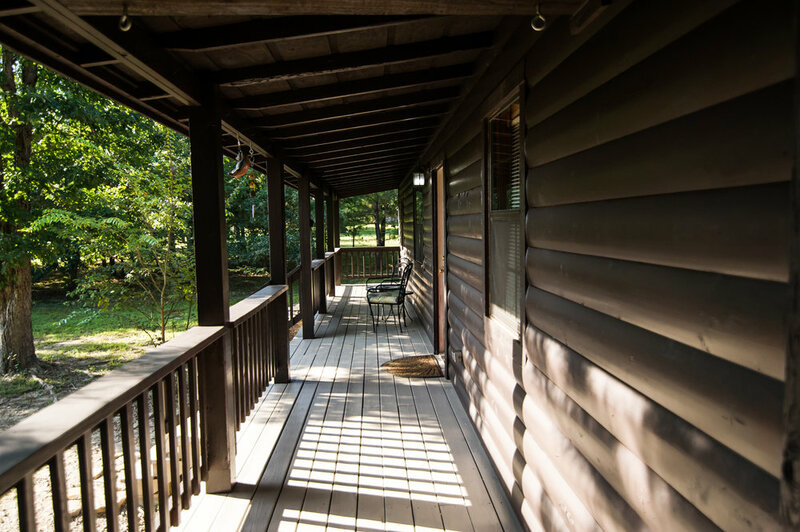 With a wrap around deck, covered hot tub, and large screened porch you may end up spending more time outside the cabin than inside! 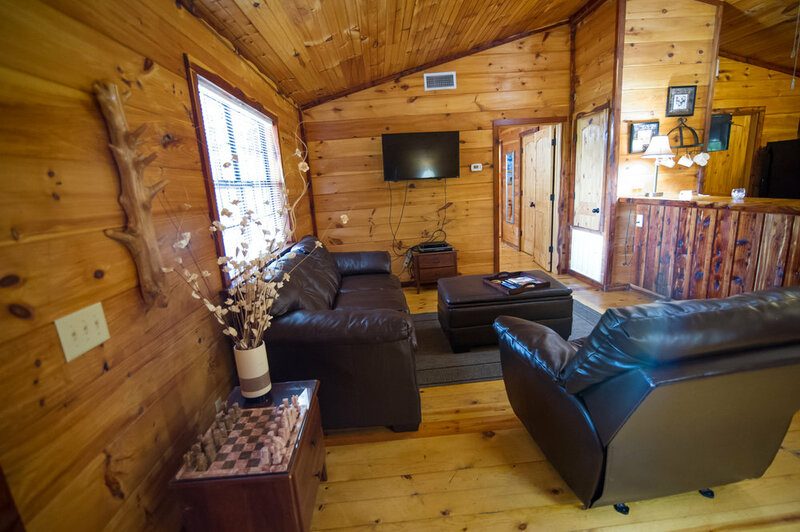 For guest that are ready for some lake time, Broken Bow Lake is only 25 minutes away.